Campaign： 4/26- 5/7 (Mobile) 4/26-5/10 (Console) Please check the in-game information for details about events and campaigns. 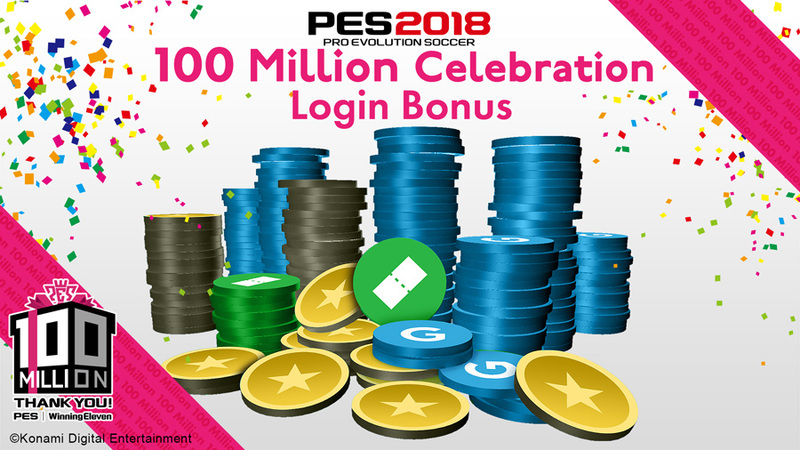 Both mobile and console version of PRO EVOLUTION SOCCER have reached 100 million users respectively, so it's time to celebrate! Agent is guaranteed to sign you 1 of 7 players who made their mark in The Classic. Namely: D. MARADONA, J. CRUYFF, RONALDINHO, ROMARIO, D. BECKHAM, R. CARLOS and L. FIGO! 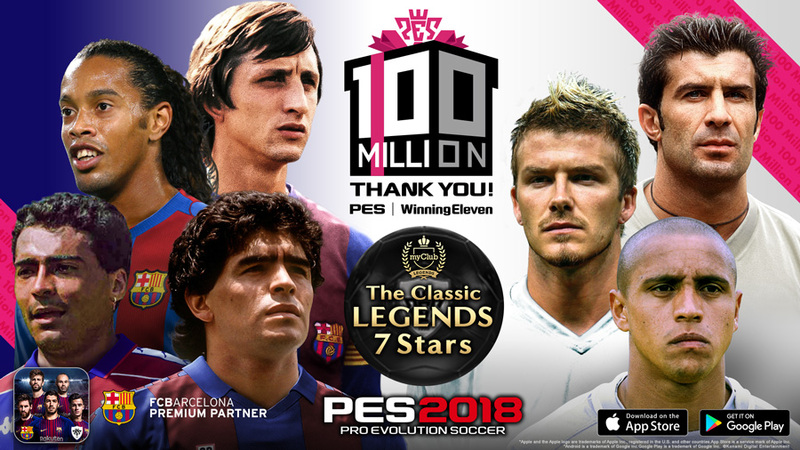 Be part of the action during this monumental moment in PES history, and seize this opportunity to add one of these historic Legend players to your squad. 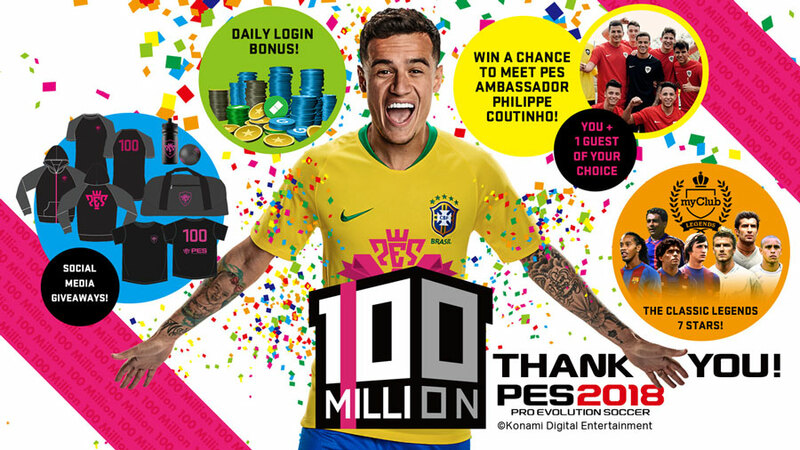 Do your part as a member of the worldwide PES community by scoring goals to contribute to the 100 million goal target. 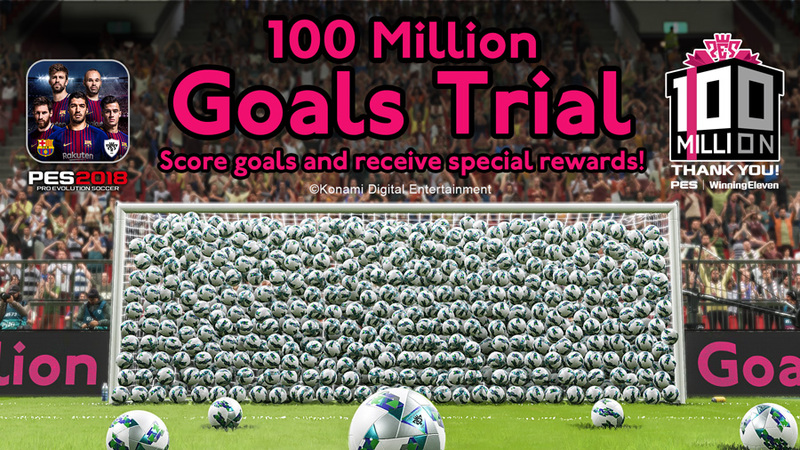 Once 100 million goals have been scored, each user will receive an amazing reward. Log in and receive special in-game items! Users will receive the celebratory "100 Million Celebration Login Bonus" for every day that they log in! 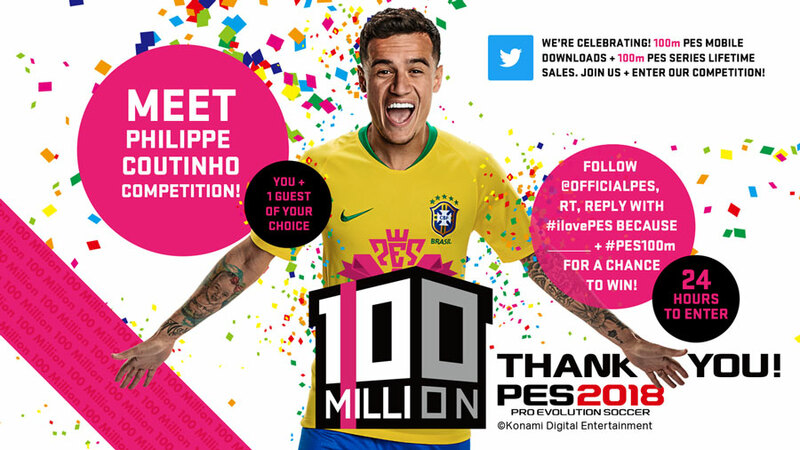 Win a chance to meet Philippe Coutinho or get PES merchandise!